I try to invest one or two weeks each year in extending my skill set. Partly because I like learning new stuff, but mainly because I am a consultant/contractor and my skill set is my product/service. 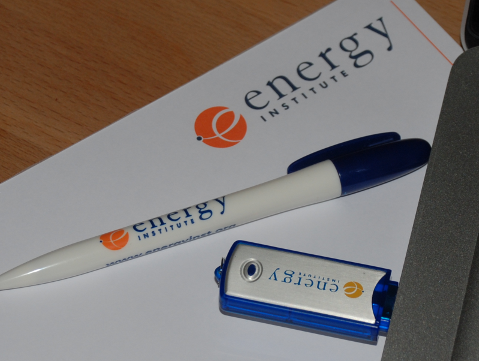 Last week I did an Oil and Gas industry fundamentals course at the Energy Institute in Lndn. This covered the full stream from geology and exploration to refining and trading and hedging. Details here. This is a great course, and a great way to fill in the knowledge gaps. What I especially liked was the mixed formats, with lectures, quiz, team discussions, videos. I was really impressed with the delivery. Of course it helps the presenter had a few decades experience across seemingly the whole industry, and a keen interest in recent developments. The current oil price excitement adds a good backdrop, and helps focus the interest. Brent. A few weeks ago I did a commodity derivatives course with bpp. here are the details. The presenters and the course content were very good. Lots of useful stuff, highly targeted to the CISI certificate exams, which are luckily very relevant to the real world of trading. Another one I would recommend – it was 2.5 days on derivatives, 2 on regulations – you could probably skip the regs unless you need the certificate. Are you doing any business training? Any technical training? Any training at all? What do you think of the Nokia Microsoft tie up? I’m not convinced its a great move for Microsoft, although I’m not sure what other choices they had if they actually want to participate in the mobile phone market. Of course all of Nokias hardware competitors will be looking carefully at how close this tie up is before they decide which operating systems to invest in. I suspect they will be staying away from Win phone 7 in droves. The whole thing looks a bit desperate to me, which I think is fair, for both sides. I’m not quite sure why my hosting company is trying to sabotage my business. But for the third weekend on the trot the Codematic and spreadsheethell sites are down and my email is not working. I’ve been training this week (in commodity derivatives) in our wonderful capital (in between the pub anyway). Being a sad kit freak I was casually (not staring at all) just checking out peoples phones. I reckon about 80% had a blackberry. And about 60% had an iPhone. and a few had something I didnt recognise. like my pile of poop Millstone. Thats right the latest news from the street is everyone should have two smartphones not one. Luckily I have the obligatory bb and touch screen lemon – have you? I guess if you work for a proper company and you want to keep your work life and home life separate it makes some sense, so perhaps being self employed I maybe can’t justify it. One of my colleagues has twos phone too, he has one from the eighties and one from the nineties. Has anyone seen an andoid phone in a blackberry form factor? Lets go for the Railway Tavern that Marcus suggested opposite Liverpool st station. I’ll be there from 6 ish probably. I’ll try and get somewhere near the door, because if its the place I’m thinking of it has about 100 different rooms and alcoves. Later we can then go on to the place Andy suggested and on for a ruby.